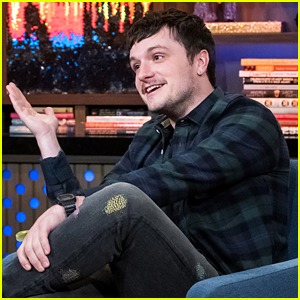 Josh Hutcherson is spilling on the biggest misconception about James Franco! The 26-year-old Future Man actor dished while stopping by Watch What Happens Live with Andy Cohen on Thursday (January 10). 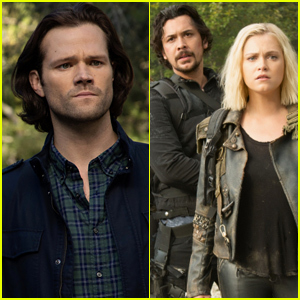 If you didn’t know, Josh has worked with the 40-year-old The Deuce actor on three films – In Dubious Battle, The Disaster Artist, and The Long Home. Also pictured inside: Meghan McCain. 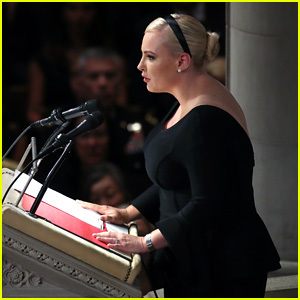 Meghan McCain gives a tearful eulogy for her late father, Senator John McCain, during his funeral service on Saturday (September 1) at the National Cathedral in Washington, D.C.
Meghan took a dig at President Trump during her speech. The McCain family asked the president not to attend the funeral services. You can watch the full speech right here. Meghan McCain is remembering her dad John McCain. The 33-year-old The View co-host took to Twitter on Saturday (August 25) to share a lengthy tribute following news of her father’s death. John sadly passed away after his year-long battle with brain cancer. Meghan McCain is a married woman! The 33-year-old The View co-host and daughter of Senator John McCain tied the knot with conservative pundit Ben Domenech on Tuesday (November 21) at her family’s ranch in Sedona, Arizona. The wedding was attended by 100 close friends and family. Meghan and Ben got engaged back in July, shortly after her father was diagnosed with stage four brain cancer. Meghan McCain Is Joining the Cast of 'The View'! Meghan McCain is the newest addition to the cast of The View! The 32-year-old author, political commentator and daughter of Senator John McCain will become a regular co-host on the show, according to Variety. Meghan left Outnumbered on Fox News earlier in September. The news also comes just after Jedediah Bila announced that she was leaving The View to write a book, get married and explore new opportunities. Meghan will reportedly begin on The View in early October alongside Whoopi Goldberg, Joy Behar, Sara Haines, Sunny Hostin and Paula Faris. 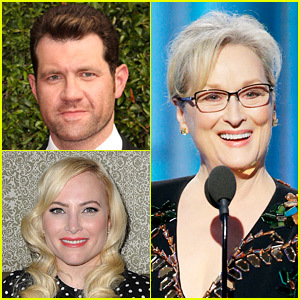 Billy Eichner got into a Twitter feud with Meghan McCain, the daughter of Republican senator John McCain, after she slammed Meryl Streep for her speech at the 2017 Golden Globes. After the legendary actress called out Trump for mocking a disabled reporter, Meghan blamed her and other Hollywood elite of getting the President-elect elected. “This Meryl Streep speech is why Trump won. 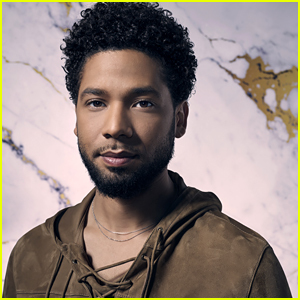 And if people in Hollywood don’t start recognizing why and how – you will help him get re-elected,” she tweeted. This comment led to some more arguing on Twitter. Read the full series of tweets below.